I'm not going to lie, I've always been a bit of a big kid when it comes to gadgets, so I was rather excited when Qwerkity asked if I'd like to review some of their tech products. They have a number of cool products so I enjoyed scrolling through their pages looking at all they have to offer, with a number of gadgets for men. 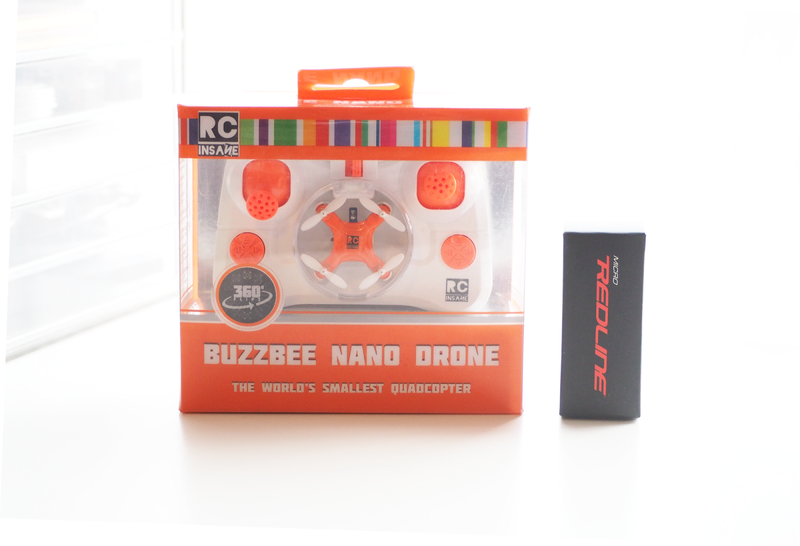 One of the items I chose was the Buzzbee Nanodrone (£29.99)* which is 'The Worlds Smallest Quadcopter'. To give some context, the remote control is a similar size to a gaming controller, with the actual drone only measuring 4cm across. I do love drones and have enjoyed using mine that I was bought as a present the Christmas before last. When I came across this one I was taken in by its super compact size and design and it just seemed too good a chance to miss to have a play around with one. 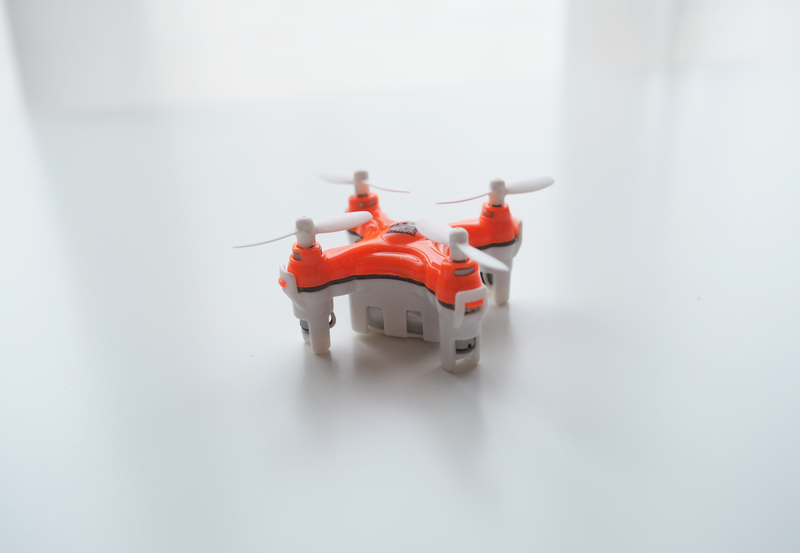 It has a 6-axis gyro and can fly for between 5 and 8 minutes on a charge which is fairly reasonable given its size. It only takes 20-30 minutes to charge back up so you won't be without it for long, and it uses a simple USB charger cable. This makes it nice and easy as you can plug it into your laptop or a USB plug which most people will have somewhere in the house. The controller takes 2 AAA batteries, however, these aren't included. 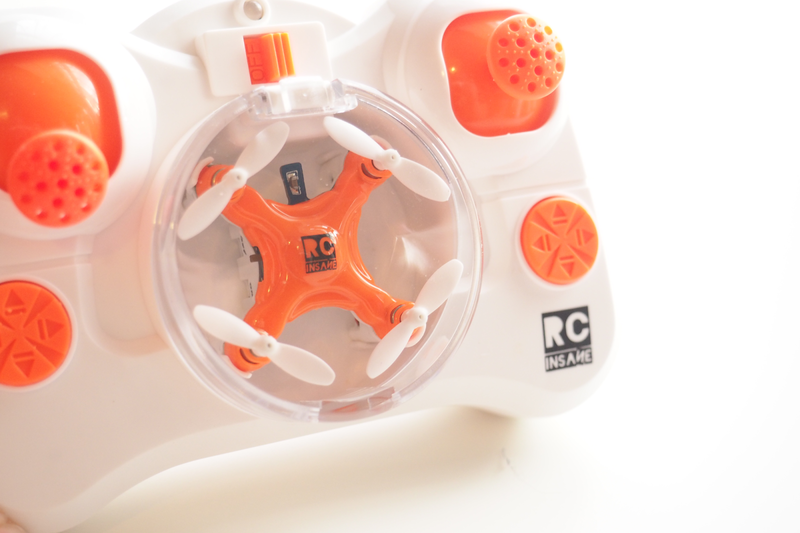 This could have been a good addition to the nanodrone as it would mean you could enjoy it straight out of the box. As soon as I got this up and running it was so much fun to fly around. It did take a bit of getting used to as the controls are quite sensitive, but soon enough it was whizzing around the room. You can even get it to do 360 degree flips if you are feeling like stepping up your drone flying skills. The drone can be used both indoors and outdoors (as long as it's not too windy). I was really impressed with the design as everything is contained within the controller which makes it an ideal toy that you could take away with you. One thing to be careful of when getting the drone out is that it's a little difficult to lift the plastic clip as it's quite thick. If you want something that will keep you entertained for a while that you can use from the comfort of your sofa, then this little Buzzbee Nanodrone is for you. 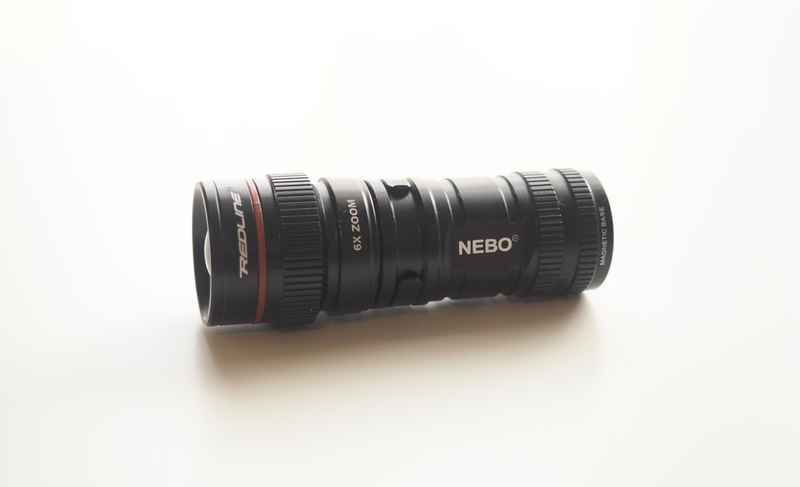 Ever since I was young I liked to have many torches and seem to own more than the average person but I couldn't help picking out the Nebo mega-powerful torch (£9.99)* as it's super bright even though it's such a tiny size. There is so little weight to this torch that you wouldn't notice if you were carrying it around. Even though it's so small and light, it's virtually indestructible as it's made from aircraft grade anodized aluminium and is water resistant too. This means you won't have to worry about it being fragile or if you were out when it was raining. 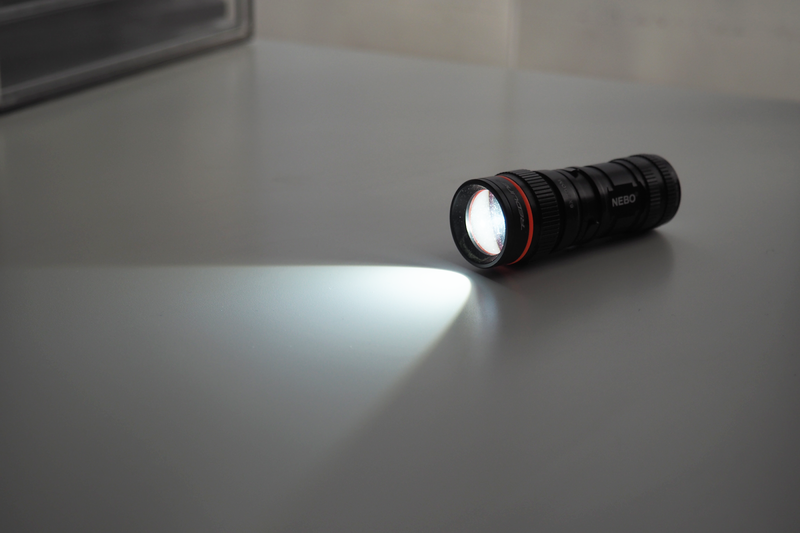 The torch has an easy to use twist feature to change from spot zoom to flood which gives you flexibility depending what you need to use it for. It puts out 360 lux of bright light which is down to optimised clarity technology. You can also switch up between the 3 different modes with varying brightness levels to suit the situation, as well as a full brightness strobe option. This torch takes a CR 123A lithium battery which is included with the torch. Even though it's not your standard AA battery they won't cost you the earth to replace, which can sometimes be an issue with high powered torches. The base of the torch houses the on/off switch via an easy to use soft touch button which glows in the dark. The base is magnetic which I can tell will come in really useful, especially if you need to use the torch while needing to keep your hands free. 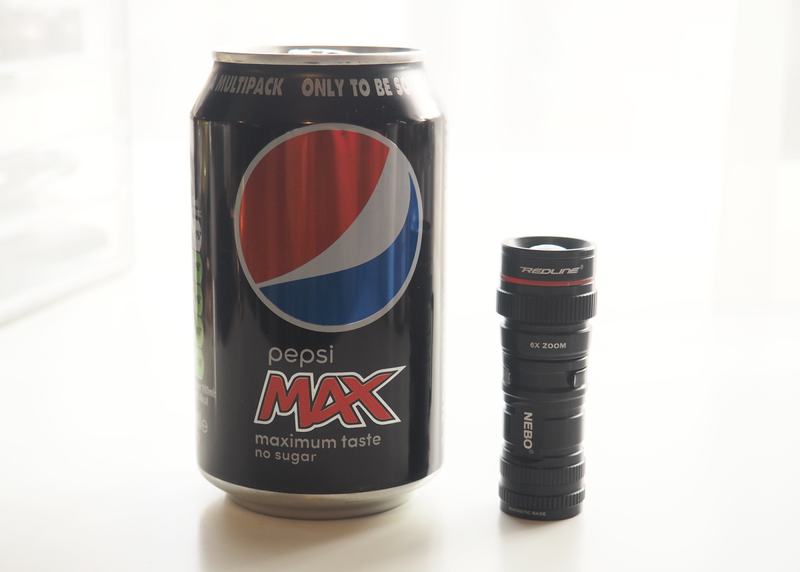 As you can see above, when stood next to a small can it puts into context how small this torch actually is so would be great for slipping in your pocket when heading out at night. I was really impressed with these two gadgets from Qwerkity. The drone is great fun to use and can be enjoyed whatever age you are, it's well worth having a go. I can definitely see this torch coming in useful and I'm glad I've now got a super bright torch, even better that it's all packed into this compact unit. When it comes to grooming, I've tried a number of different options. It takes me a longer than the average guy to try and grow a beard I'd be happy with so I normally just end up shaving it off. I do get quite envious when you see a well-groomed beard as they can look really stylish. Having a look through the infographic above, it's quite interesting to find out some facts about a beard. 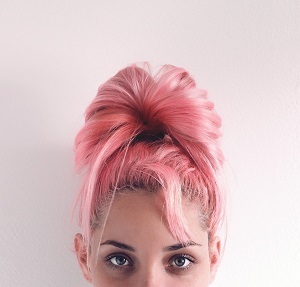 There is more to it than just a bit of hair on your face. Going back to the Middle Ages, it was taken a lot more seriously with a duel ensuing if you touched the beard of another man. They must have been very proud of their beards back then. Whenever you go for a shave, it's only a few minutes of your day and then you're all sorted. You would never think that all these short sessions total up to around 3,350 hours spent in the bathroom over a man's lifetime. I have tried a few different methods with shaving and switched up the products I use. When I first started out shaving I had a small electric razor to trim away those first bits of hair, however, this ended up bringing me out in quite a bad rash. I ended up trying out wet shaving which started to give me better results with a cleaner shave while giving a range of shaving foams and creams a run for their money. As it turns out I do have sensitive skin which has contributed to my soreness after shaving. Reading through some of these facts above coupled with the sore skin I get is making me consider trying to grow a beard. All things considered, I think you need the right tools to grow a beard and be patient. I think I'd be one to be consistently grooming it to keep it neat as I need to look smart at work, so something such as this electric beard trimmer would be ideal. Since reading over this infographic I feel a bit more informed and ready to start taking the steps to grow a successful beard. *This post is in collaboration with Panasonic. 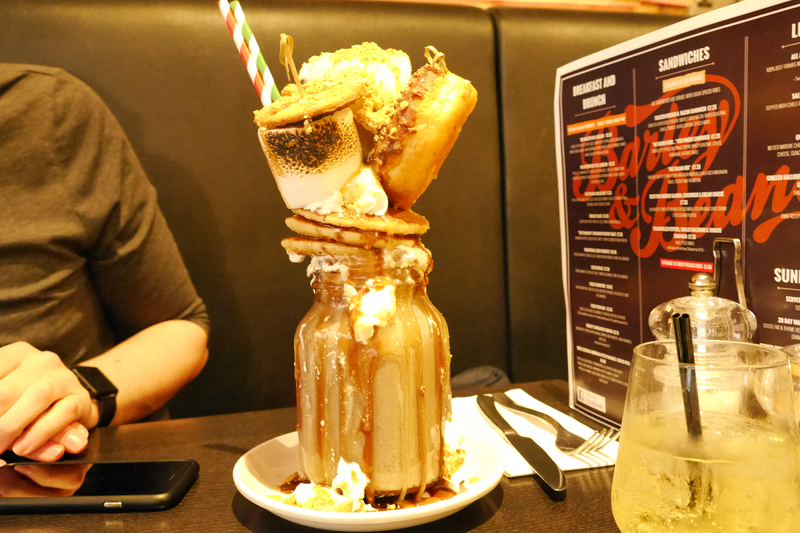 After hearing about the Freak Shakes available, it was just too much temptation not to go and try them. Pancake Day brought a special edition shake for this week only which gave another reason to go and check it out (not that we needed one). 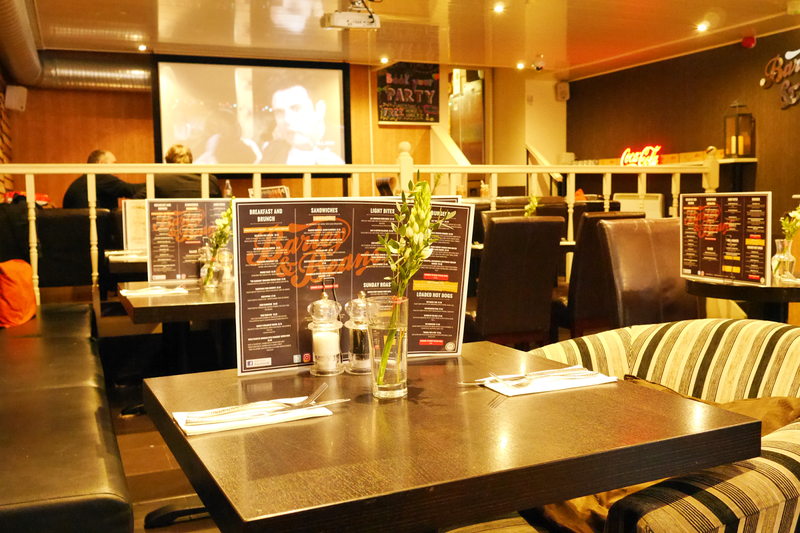 Barley & Beans in Liverpool is not your standard coffee shop and has a different kind of offering to what you might normally expect. We only went for a drink and a couple of sweet treats, but they do have items for breakfast and brunch right through to your Sunday roasts. Oh and this coffee shop also has some good deals on cocktails, although it was a little too early for us to try these in our visit. The pancake week special was the Oreo Smores Pancake Shake. I know it's technically a drink but I would probably class this as a dessert for two. That doesn't mean it's a bad thing as it was incredible. It was quite different to what you normally see as you tend to get either a shake or a dessert whereas this was an impressive combination of the two. Even though this was a special version, they do have a number of other Freak Shakes on offer all year round so don't worry about missing out. 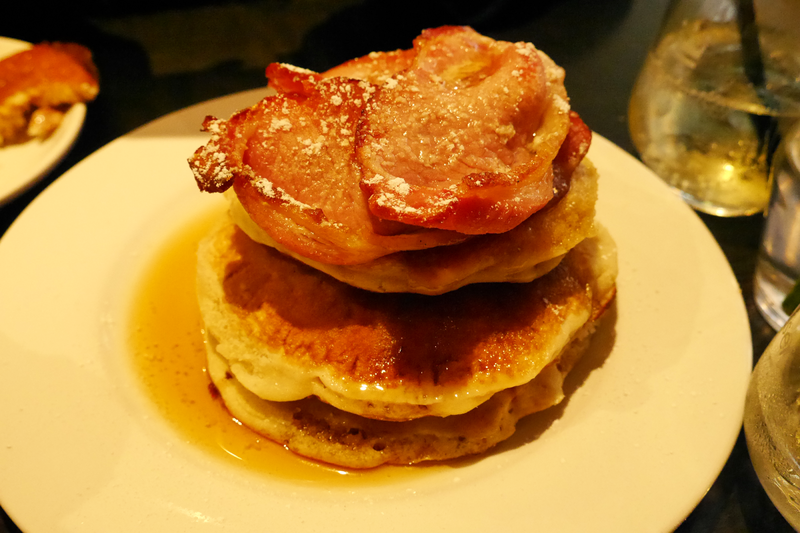 The second item we chose was a triple stack of American Pancakes served with smoked bacon and maple syrup. These were a very generous portion with pretty thick pancakes and a decent helping of bacon on top. They were nice and fresh and had a good flavour, although one thing I would say is that they could do with more syrup as it seemed to soak in quickly and left some of the pancakes a bit too dry. I know this might vary depending on people's preference, however having extra syrup on the table like in IHOP could help solve this. I'd be interested in seeing how their savoury food options compare and be able to try out some of the drinks on offer so I might have to consider an evening visit.